Could your Apple Watch stop you from ‘pulling a sickie’? Now that the sun is shining and the temperature is rising, it’s officially sickie season: go to work, or get struck down with “flu”, a “24-hour virus”, or that faithful stand-by, the dodgy prawn takeaway. Figures show that over a third of employees in the UK admit to pulling a sickie at some point or other. But things may be changing soon – wearable tech such as the Apple Watch, Microsoft Band, Fitbit, or Jawbone Up may become mainstream within a few years, bringing health monitoring capabilities that reveal how your body is performing. It’s not inconceivable that in time this same data could be used to prove how well, or unwell, you are – such as when phoning in sick. Wearable health tech is still in its early days. These devices come with sensors that can record how many steps and how much exercise you’ve taken, how well and long you‘ve slept, stress levels, blood pressure, sun exposure, even what you’ve have eaten. Added together, all this could easily demonstrate that you’re not so sick after all. Since some wearables are aimed at being fashionable accessories, employers might be minded to tap into the trend. So next time you’re pulling a sickie, you might need the data to back up your story. With GPS-equipped devices there’ll be no opportunity to escape your sickbed to a barbeque or trip to the beach, while ultraviolet sensors will detect the increase in sunshine and motion sensors detect movement not typically associated with bed rest. What if employers and health insurance companies move in the direction that the car insurance industry has taken, where every health transgression (a boozy night out, a Christmas feast, or too many lazy days on the sofa) could increase your health premium rates? Such a scenario isn’t so far away, and this should concern us. Apple is clearly making a beeline for the health and fitness industry with Watch and its integrated HealthKit software, now integrated with its iOS mobile operating system, and it is the only firm to do so. Typically, health insurers use body mass index (a calculation of body fat that takes into account your age, weight and height) to set premiums, and some insurers set rates based on basic data from wearables, such as the number of steps we take link?. Fitbit and Jawbone Up are both already playing a bigger role in how health insurance is calculated, with more employers opting to monitor data generated by such wearable trackers. And here’s the catch: employers are holding their insured staff to account with penalties and rewards as part of an increasing number of so-called “corporate-wellness programmes”. 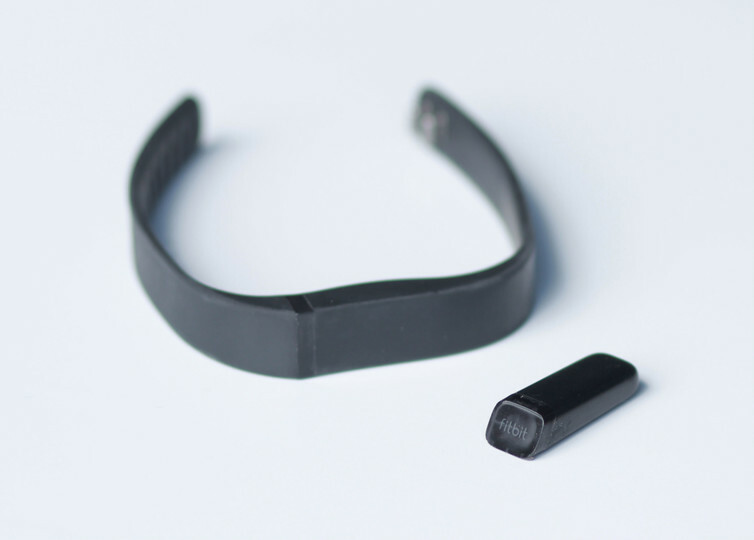 For example, at BP staff are given Fitbits for free as long as the company has access to their data. The more physically active an employee is (as measured by the device) the more points they’re awarded. Higher points lower the company’s insurance premium. Other companies are adopting similar wellbeing employee health insurance programmes too. Wearable tech is still far from perfect, and that means inventive workarounds will be found. A few acquaintances of mine who shall remain nameless have found creative ways of racking up a few more miles, while actually continuing their usual, less-than-active habits. These include holding and shaking the device for a few minutes at a time, or attaching it to their cat or dog, or offering pocket money to other, younger and fitter family members to wear. Obviously insurers and developers are aware of these, so it won’t be long until such loopholes are closed. For now, we can consent to share our health data from wearables with employers or insurers in exchange or lower premiums or cheaper travel. But how long before the company wearable is a mandatory part of the uniform? Categories CommentTags data, fitness, HealthLeave a comment on Could your Apple Watch stop you from ‘pulling a sickie’? The uncoupling of the iPhone and Apple Watch draws ever closer. In a recent brief blog post, Apple instructed developers that any Watch apps submitted for App Store approval from Wednesday, June 1st 2016 must be a native app running watchOS 2. This means all new apps will have to work on the Apple Watch without an iPhone. It’s hoped this change suggests that at some point in the future the Apple Watch could be sold as a standalone device, as opposed to its current ‘iPhone accessory’ designation. The home of luxury watches won’t be seeing the Apple Watch any time soon. According to a Reuters report Apple won’t be able to launch their upcoming smartwatch due to rights issues — much to the delight of Swiss watchmakers I’m sure. British designer Marc Newson has been spotted wearing the Apple Watch. Hired by Apple last year, Newson has been rumoured to have played a part in designing the upcoming smartwatch. The snap of Newson wearing the Apple Watch can be seen over at RazorianFly.